Race information for Race 2 of the Series is now available at https://wp.me/p7gD9I-1yB. This is to provide notice that Hoe Tonga’s AGM will take place in Whanganui, on 15 September, following the conclusion of the final race of the Hoe Tonga Paddler Series. It will be run in conjunction with the prize giving of the series. Awesome to see such a great event in Mainstream media. What an amazing way to showcase our great sport and illustrate how supportive our local teams are of our local events. To those competing this weekend, good luck and most of all have fun. The Hoe Tonga Board is pleased to announce the appointment of Mataiawhea Te Kere as Hoe Tonga’s new Regional Development Officer. He will take the lead on the delivery of Hoe Tonga’s KiwiSport contract with Sport Wellington, working closely with schools and clubs. He will also be the first point of contact for paddlers and clubs at Hoe Tonga, as his role also encompasses the previous administrator role. 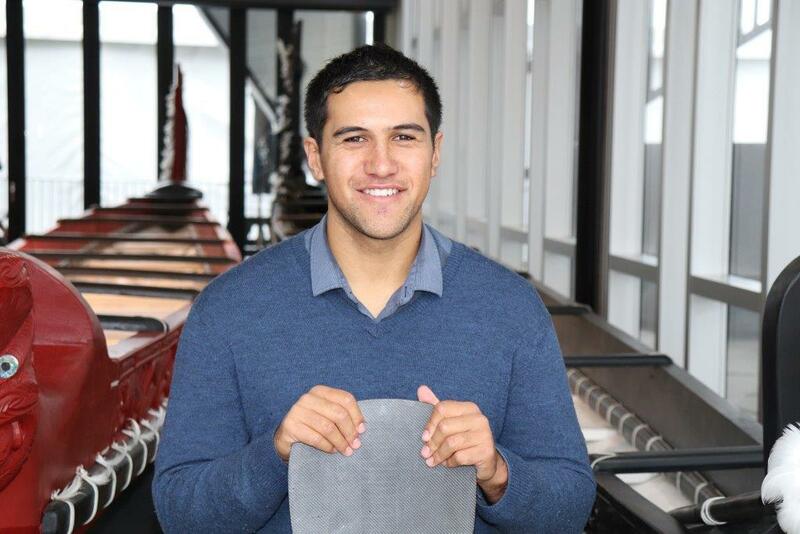 Mataiawhea will already be known to many in the region, as he is also a keen and competitive paddler. At the same time, the Board would like express its sincere thanks to Gaylene Sciascia for carrying the administrator batton for quite a number of years. She was the often the first point of contact, and the link between paddlers and clubs on one hand, and Hoe Tonga on the other hand. She helped organise various regional events, and many of those tasks are often unseen by most paddlers and supporters. The original administrator role was set up as waka ama grew. Our regional membership has more than trippled since 2008. As a result, Hoe Tonga’s role has become bigger, and so we needed to transition from a purely voluntary organisation to one that was supported by dedicated personnel. Initially there was insufficient funding to enable us to have more than a part-time administrator. However, last year Hoe Tonga was successful in securing funding for a regional development role to further grow waka ama in schools, and this has enabled the establishment of a near full-time RDO role. The role is initially limited to one year, but our intention is to secure funding to maintain the role beyond June 2019. After some unusually cold weather, finally a great day for racing. An excellent turn-out with 22 teams hitting the water. Surprisingly, there were no novice teams this time. This leaves the novice trophy up for grabs, so go on, rustle up your work mates and friends. Thanks again to Hawaiki Nui Waka Ama for hosting this event. Click here to download the results for Race 1. The next race coming up is the Matariki Harbour Challenge on 23 June. Find out more here. Hoe Tonga has chosen the dates for Regionals 2018 in Masterton: 24 and 25 November 2018, with a potential back up date of 15/16 December. The Board has considered various date options, in order to balance various issues, including the potential re-occurence of weed (earlier is better) and avoiding clashes with other races. The Board is aware that 24/25 November clashes with the beginning of Vaka Eiva in Rarotonga. The back up date has been chosen in case the weed occurs early and there is no time to clear it, to avoid having to cancel the event completely.